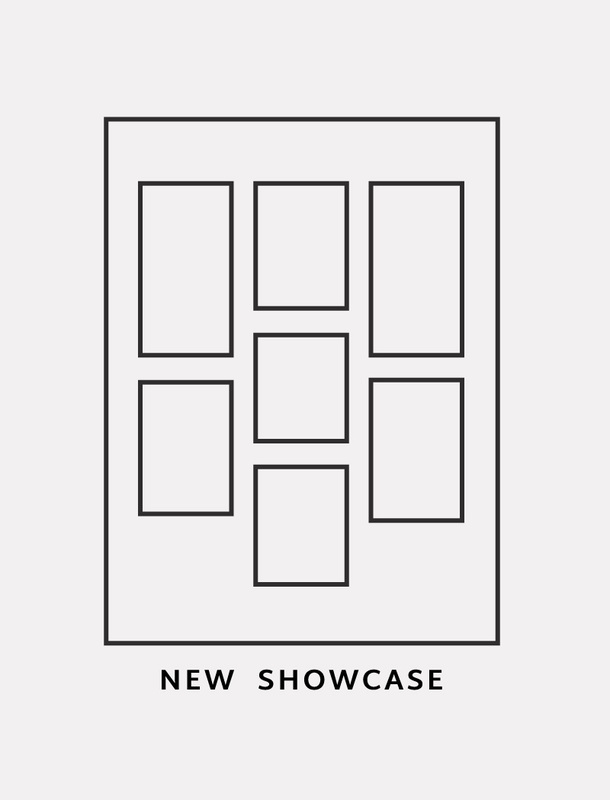 Over the last week we worked on a little design makeover for our Elmastudio Theme Showcase. And after we finished some final tweaks on the design and the theme code, we are happy to finally present you our new showcase website. To be honest we had planed to redesign the showcase for quite while now, but we never got around to actually take the time and to work, since there was always something else already on our to do list. In the end it did not even take us too much time, especially since we were able to work very intense on the project for a few days in a row. Our biggest goal for the new design was to make the website experience more attractive and exciting for visitors. In our old showcase you could filter the featured websites by each individual theme. This was not a bad idea at the time we designed the old website. But now we have much more themes and it could be quite exhausting or boring clicking through each theme. We also wanted to focus on giving visitors more general inspirations in regards to their website topic. So if someone is looking for a business website, it’s possible to see websites using different themes, but all having similar website requirements and topics (e.g. travel blogs, Magazines, business websites). We think this is a much more exiting experience for visitors and it easier to find inspirations on how to use different themes. 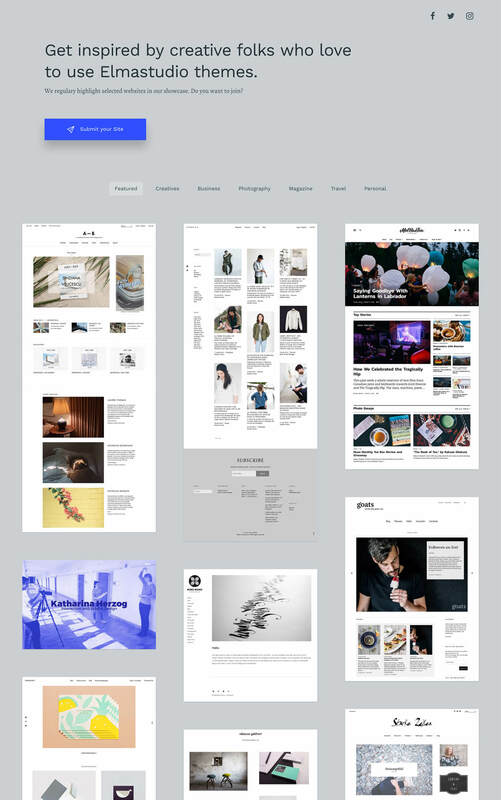 Our new Theme Showcase redesign, September 2016. Another important part we wanted to change in the new design was the way visitors could view further information of featured websites. Before you would need to open a new page to see further info, now a bigger image of the featured website with information about the website and the used theme just pops up in a lightbox window. This was actually not so easy to accomplish and we had to change the design a little bit as well as tweak the showcase WordPress theme we created to achieve the look we had in mind. We really hope you will like the new theme showcase website and you have fun looking through all the beautiful, creative websites using Elmastudio themes. (We want to thank everyone for submitting their website, thanks so much!) We will add some further new websites in the upcoming days. In the future we plan to update the showcase showing new websites once per months. If you want to submit your website, please just fill out the form on the showcase website. We hope you can understand that of course we can not feature all submitted websites. This would simply be too much, so we have select a smaller number of themes. How do you like the new theme showcase design? Which website topics or sort of websites would you like to see more in the showcase? Please just write us a comment here on the blog post, we would love to hear your feedback! Hi, I'm Ellen, WordPress theme developer and blogger. I love yummy vegan food, traveling, avocados and fluffy puppies. You can also find me on Twitter, Facebook and Instagram.